Kamikaze Kaitou Jeanne Wallpaper: It's a Smile! Minitokyo »	Kamikaze Kaitou Jeanne Wallpapers » Kamikaze Kaitou Jeanne Wallpaper: It's a Smile! Flowers!! 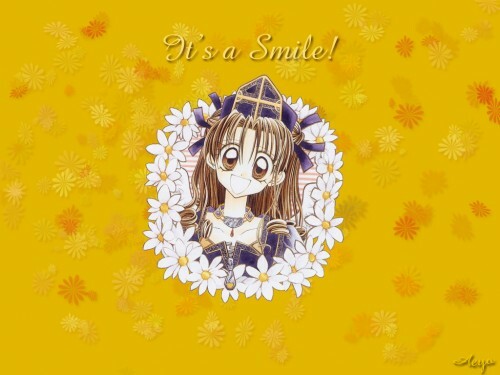 ^^ I'm not a fan of this Anime but I like the way she's smiling. I think she's cute. it's not just 'a smile'; it's your smile!